Women who exercise routinely for four or more hours per week may reduce their chances of having a successful pregnancy with in vitro fertilization (IVF), new research suggests. In general, regular exercise does not seem to decrease or increase the chances of having a baby through IVF However, with four or more hours of exercise per week for 1 to 9 years, the odds of a live birth fell by 40 percent relative to engaging in no exercise. In addition, this level of activity raised the risks of implantation failure and pregnancy loss. Interestingly, the most detrimental effect was observed in cardiovascular exercisers, who had a 30% lower chance of successful pregnancy after their first cycle of IVF. By contrast, walking for one to three hours a week did not increase the risk of IVF failure, but women who walked for four or more hours a week were 50% less likely to have a live birth compared with women who did not regularly exercise. While significant levels of exercise may be expected to change the hormonal milieu in women, different types of exercise may have varying effects on hormone levels. Intense aerobic exercise may inhibit release of gonadotropin-releasing hormone and result in a hypoestrogenic state, while women who perform heavy resistance training may increase levels of luteinizing hormone and androgen. Leptin and insulin levels may decrease with intense exercise. Keeping in line with the research, heavy exercise such as aerobics,jogging, weight lifting, etc.. should be avoided during ovarian stimulation and until the pregnancy test results are known. 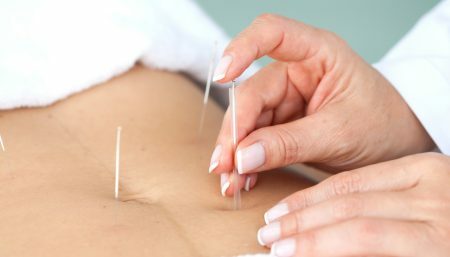 Alternative therapies, such as yoga, meditation, and acupuncture, may be helpful.